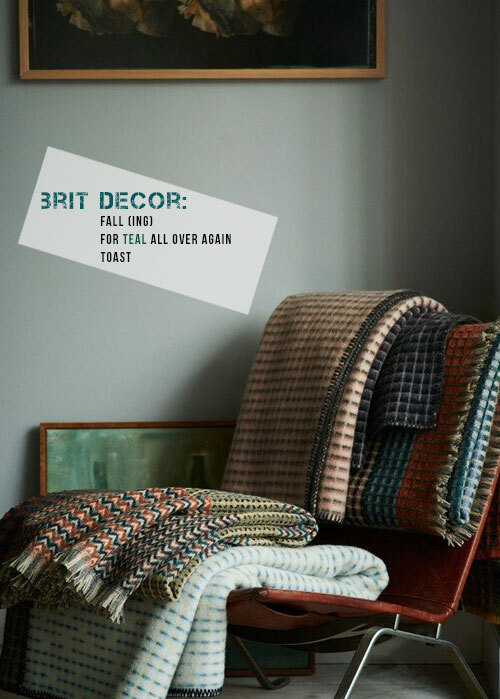 I almost don't want to write anything here so as not to steal any of the limelight from this incredibly colour-rich late Autumn homewares collection from UK gurus of simple style, TOAST. 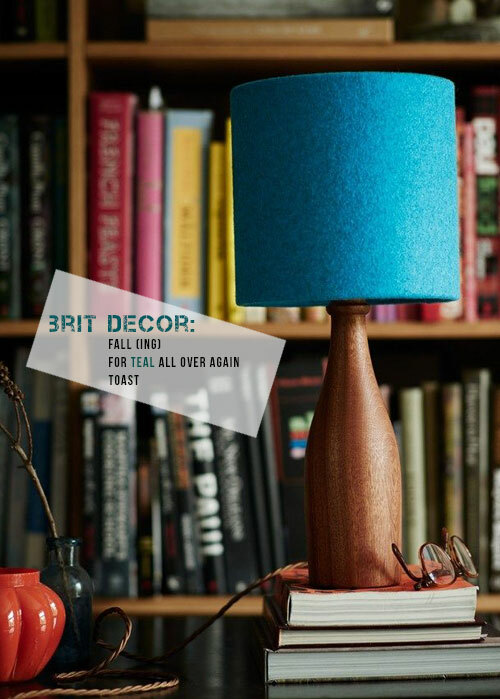 Excuse the pun but I couldn't resist the Seasonal reference to falling for this Teal inspired range of wares, which shows us just why the love affair with this alluring hue is far from over. 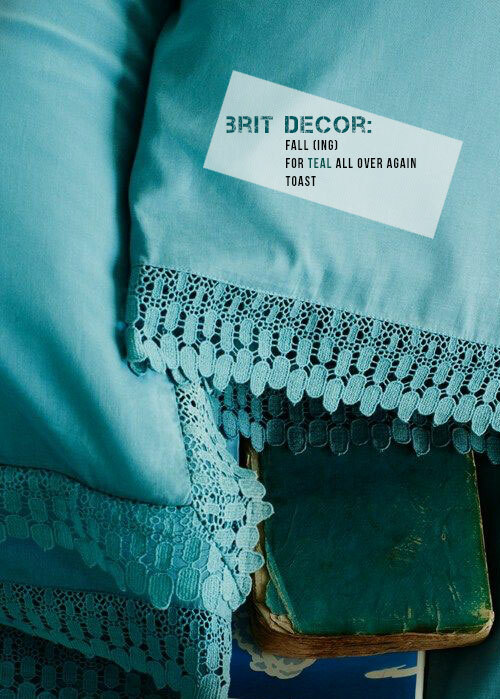 I had the sheer pleasure of designing a teal colour scheme earlier this year at a flat in Wimbledon, London. It's a colour that evokes many things for me, it's full of depth and life, rather like an ocean, and it has an air of class to it. Teal is also a colour that I like to play with in varying shades - for the flat in London, I turned to Little Greene for a trio of the dark Marine Blue 95, pale Celestial Blue 101 peppered with flashes of the more vibrant Canton 94 - palette perfection! 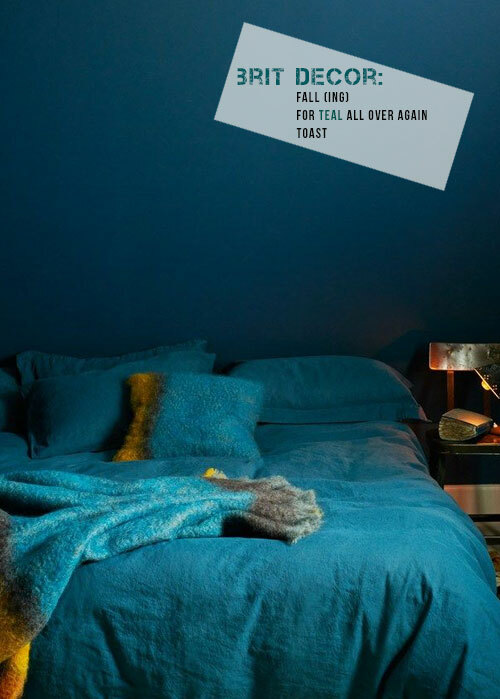 The collection 'below' from TOAST similarly delivers a Teal inspired fusion of colours with the occasional spike of vividly contrasting Autumnal colour, such as the golden yellow of the Colour Field throw and cushion. It definitely stopped me in my tracks - what about you? 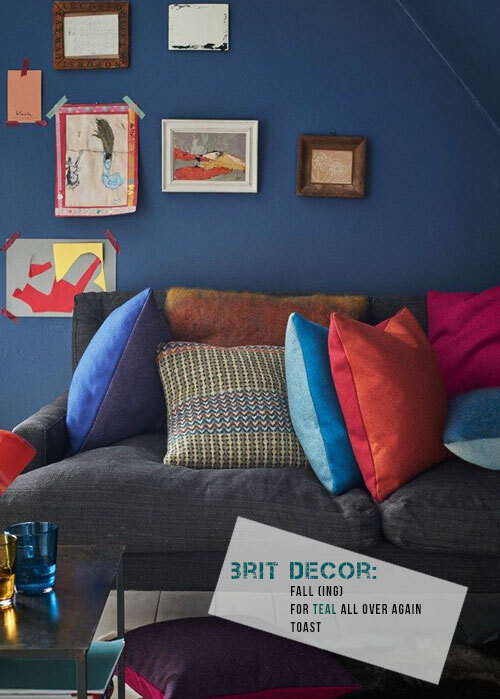 So much colour inspiration already and we're only half-way through the week!